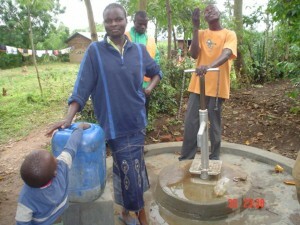 The borehole is located in Mikhuyu village, Kamusinga sub-location, Chebukwabi Location in Bungoma County. The locals are mainly subsistence farmers growing crops like bananas, maize, beans, coffee and keeping livestock. The area receives rainfall ranging between 750mm and 1,500mm per annum. 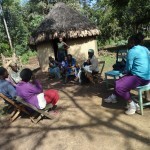 There are seasonal rivers in the area which act as a source of water for many families. However, availability of clean water for domestic use is still a concern for the locals. 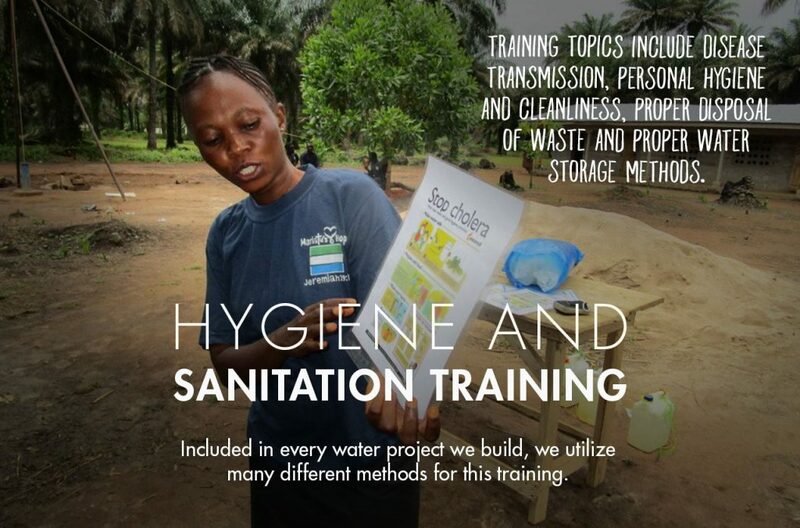 Water borne diseases have reduced significantly due to the community education on sanitation and hygiene carried out in the LTU. Mikhuyu Community borehole was constructed by KEFINCO in 1998. However, no pump was installed and the borehole was left open. 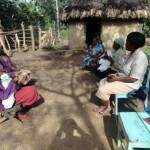 Nevertheless, the people have been using the water for domestic purposes. The alternative is an unprotected spring 1 kilometre away. The completion of that borehole will therefore solve the problem of many residents in the area. 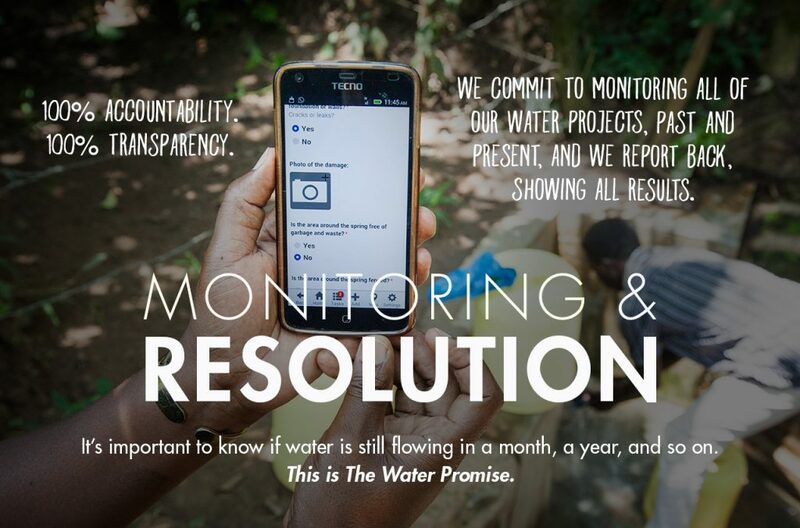 We wanted to pass along the update below from our partner in the field (edited for clarity). 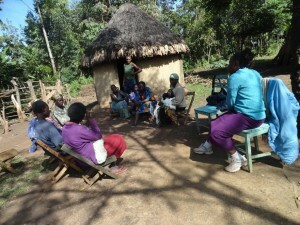 It gives the latest status of the borehole rehab project in Mikhuyu, and is also a great summary of the project. 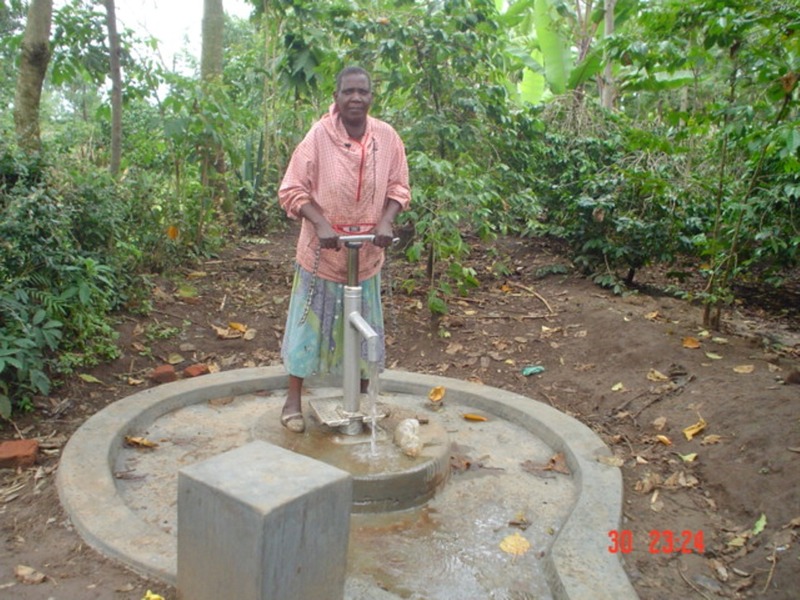 Mikhuyu Community borehole was constructed by KEFINCO in 1998. 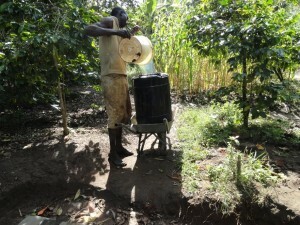 A pump was installed but the rubber piston eventually wore down due to constant use. 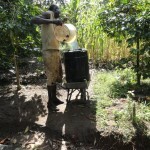 The pump could only produce a small amount of water early in the morning and late in the evening. The people resorted to using water from an unprotected spring 3 kilometers away posing a risk to their health and well being. 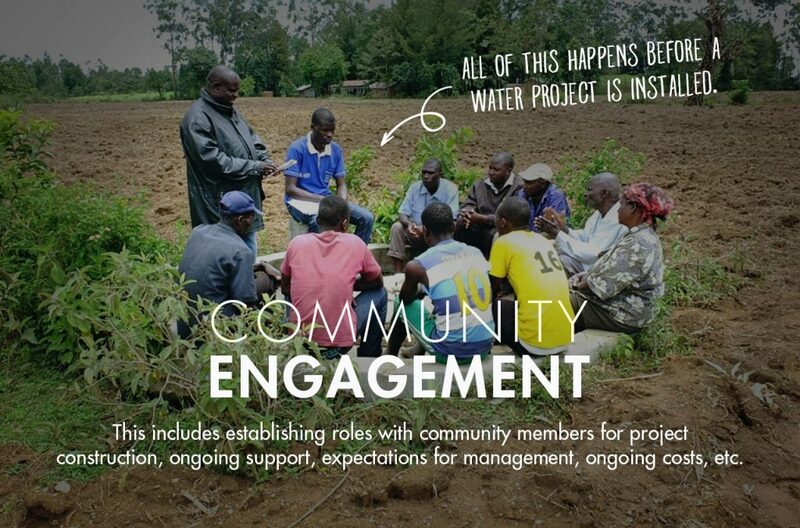 A water management committee was chosen and trained for 2 days on site management including repair and maintenance. The committee immediately took on the responsibility of mobilizing the community to make their contribution and the work began in July. The borehole refurbishment was done within the same month and was successfully completed. 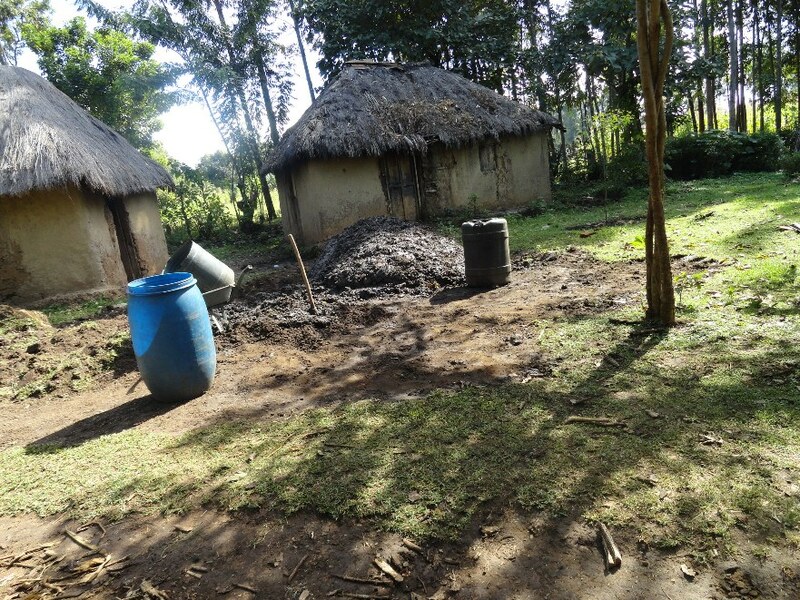 The work involved removal of the old pump, flushing of the borehole to assess its recharge rate, installation of a new pump and cementing of the floor. The process took 2 weeks to complete. 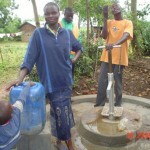 The community is using the borehole although an official handover is yet to be carried out. 10/03/2013: Mikhuyu Rehab Project Complete! We are excited to report that the work to repair a broken well in Mikhuyu, Kenya, is complete! 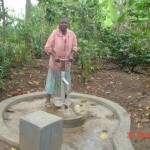 The well is now a dependable source of safe, clean water for the community. 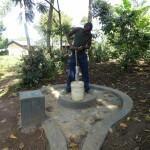 We just posted a new set of pictures showing the finished well, in addition to photos of community education. Take a look, and Thank You for your help! 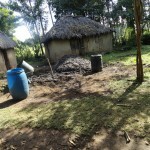 We are excited to report that a well in the community of Mikhuyu, Kenya, has been selected for rehabilitation. 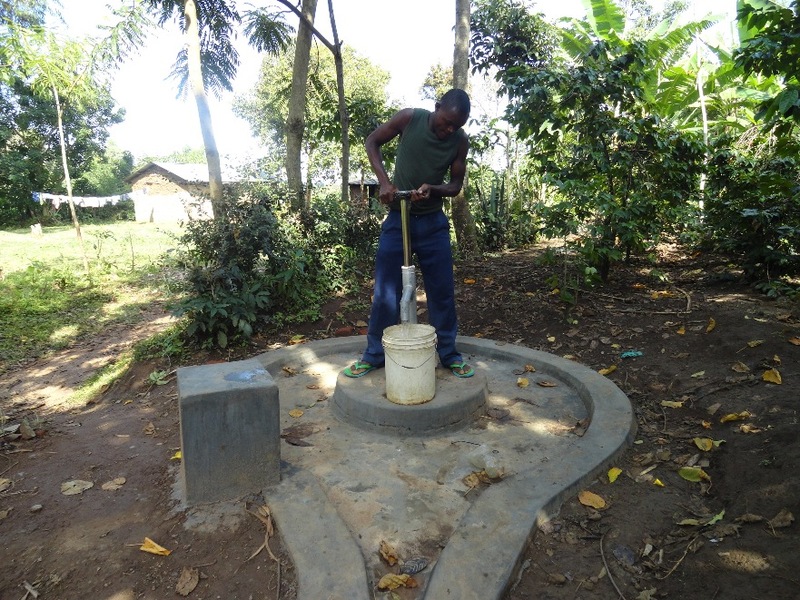 The well, originally dug in 1998, will be repaired and updated so that it is a dependable source of safe, clean water for the community. 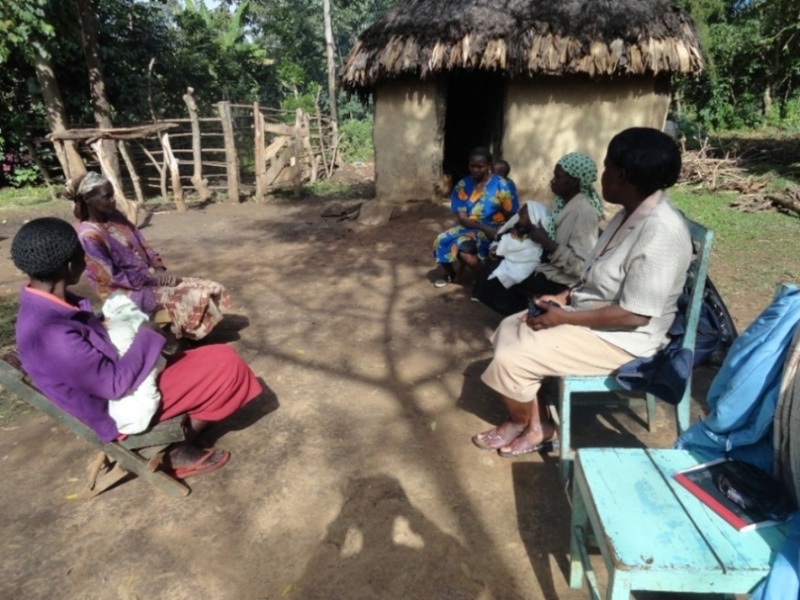 We just posted an initial report from our partner in the field including information about the community and GPS coordinates. We hope to have pictures soon. We will let you know as soon as they are posted.